Everyone loves progress, but no one likes change! First Care is making progress toward our goal of saving 1000 lives a year by 2020, and part of that is growing and shifting our staff as needs change. 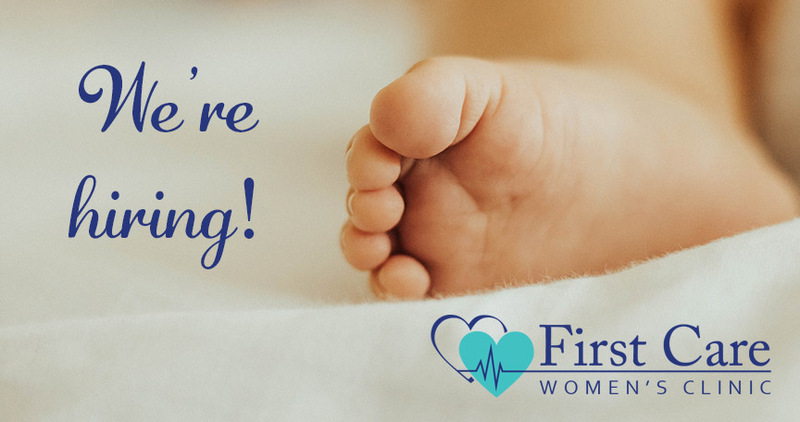 We are currently hiring for four positions, but there will definitely be more First Care career opportunities as we continue to grow. One Part Time position at one of our new clinics! First Care Family Resources, Inc. DBA First Care Women’s Clinic is a faith-based, not-for-profit corporation. Successful applicants are required to agree to our statement of faith and values.